A recent study1 by NACE International (National Associated of Corrosion Engineers) estimated that the global cost of corrosion is in the order of US$2.5 trillion, equivalent to ~ 3.4 percent of the global Gross Domestic Product (GDP). The study also found that implementing corrosion prevention best practices could result in global savings of between 15-35 percent of the cost of damage, or between $375-875 billion (USD). It is of no surprise then that corrosion has also become one of the major challenges in the offshore renewable industry, whether wind or tidal. Due to the relatively recent operating history of the industry, the scale of the problems and associated costs are yet to be fully understood, but it has become apparent that the actual corrosivity of the environment can be very different from that originally assumed in the design specification. In addition, current industry codes and standards are still being revised and unlike in the offshore oil and gas industry have not reached maturity, although cross overs between the two industries exist and knowledge transfer is taking place. A good example is the monopile foundations in the offshore wind industry which were presumed to be water and air tight, hence corrosion allowances and /or options for corrosion protection were not considered necessary in the design stages. In reality, most monopiles experience seawater and air ingress, resulting in corrosion of the inside of the monopiles with potential adverse consequences on the remaining fatigue life of these structures. At Intertek P&IA we specialise in corrosion management and behaviour of materials and were approached to study and advise on the best option to protect the internal of submerged monopiles against corrosion. For existing monopiles, the only option available is cathodic protection (CP), of which two categories exists; sacrificial anode cathodic protection (SACP) and impressed current cathodic protection (ICCP), each having their own benefits and drawbacks and which affect the environment inside the monopiles differently. 1IMPACT study (International Measures of Prevention, Application and Economics of Corrosion Technology) released 2016. With decades of experience within the team, Intertek P&IA can assist in maximising the life expectancy of assets, inform operators' maintenance programs and provide recommendations to ensure the integrity of assets suffering degradation. 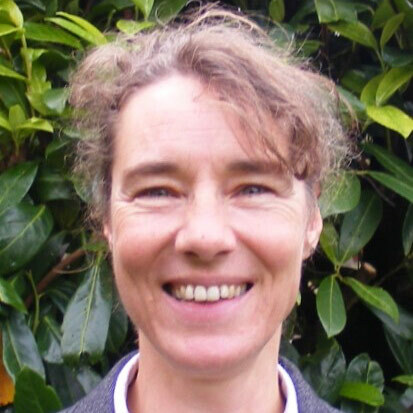 Petra Ernst is a Senior Engineer at Intertek P&IA in Manchester (UK) with 20 years of experience in corrosion testing and corrosion management. She is part of a team providing integrity assurance services, including consultancy, failure investigations and corrosion / materials testing. The team’s key service is to offer clients a fundamental understanding of the interactions between corrosive environments and materials in a wide range of operating environments.